After clearing out all the security-related tweaks, configurations, and having all of our DC/OS cluster nodes installed with the Docker engine. We will dive into part 3 for this series, when it’s time to create the SSH authorized keys file and establish the trust relationships between the bootstrap node to all other nodes in the cluster. 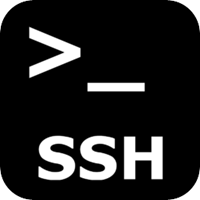 In order for the bootstrap node to be able to securely communicate and open SSH tunnel to other nodes and for the other nodes to be able to pull the DC/OS configuration script during installation, we first need to generate private and public keys using ssh-keygen tool and add the public key into the bootstrap authorized_keys file. Read more about all the details around DC/OS 1.9 SSH Authorized Keys in my personal blog.